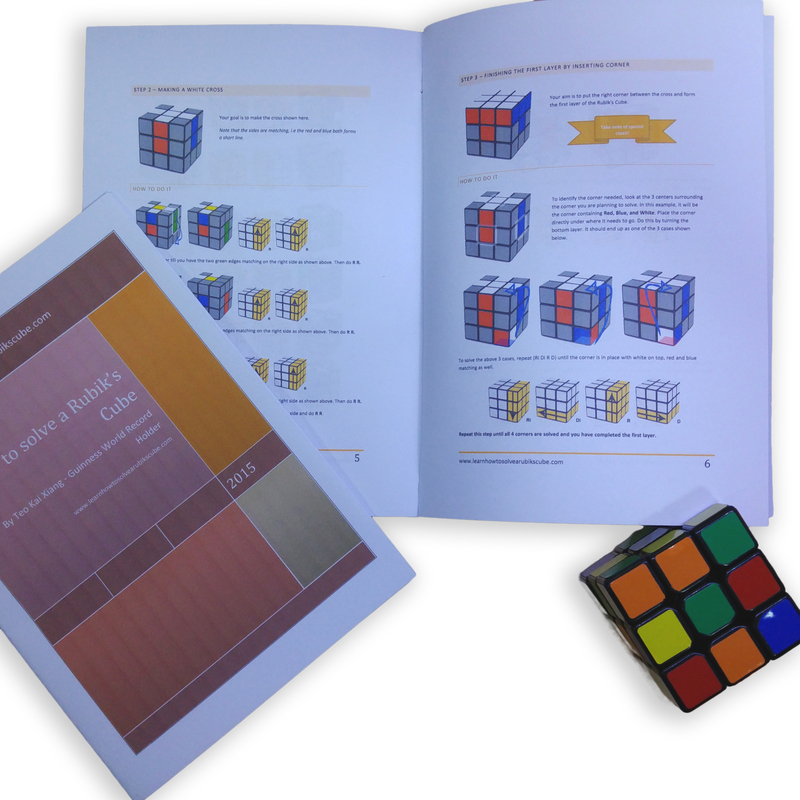 In this visual guide on how to solve a Rubix Cube, written by the Singapore Rubik's Cube Champion, we will be using a method known as the layer-by-layer method. A Rubix Cube contains 3 layers and we will be solving them 1 by 1. First, you will surround the yellow centers with the white edges. This will form what looks like a 'white lily'. This is the pre-cross step. Don't worry about the terminology if you can't understand them, I will explain them before we begin solving the Rubik's Cube. We will move the white edges so that they connect with the white center, forming a cross at the top of the Rubik's Cube. Note that the side of the white cross have matching colors as well. 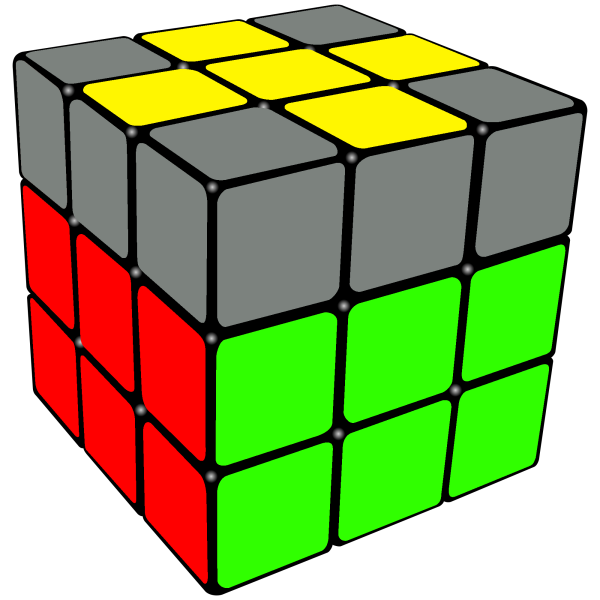 By putting the right edges into the middle layer, we would have completed two layers of the Rubik's Cube. One more layer to go! Flip any corners that are not upright and you just learnt how to solve the Rubik's Cube!